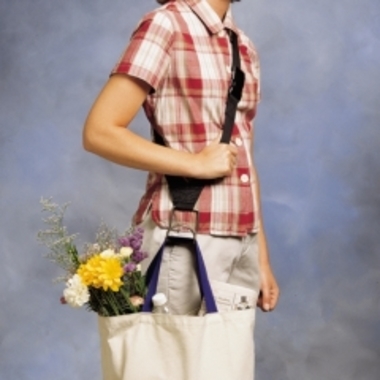 Carry bags comfortably without straining hands and fingers. 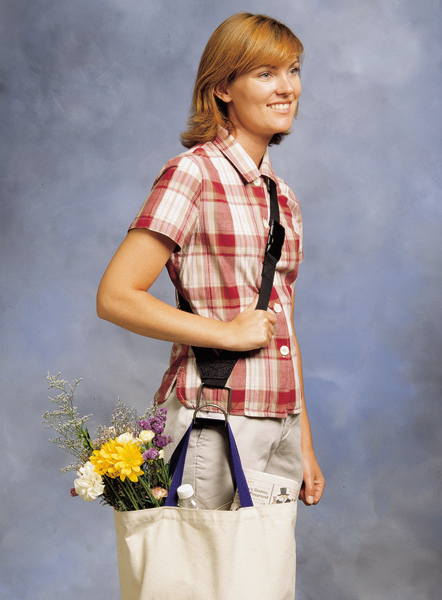 The Hands-Free Bag Holder distributes the weight of heavy bags across the back and shoulder. 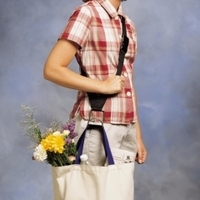 The 1-1/2" (3.8cm) wide woven polypropylene strap holds up to 50 lbs. (23kg). 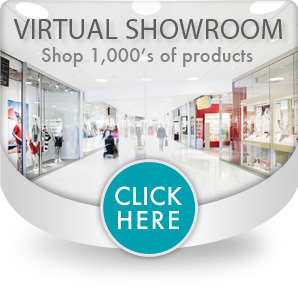 The dense trilaminate pad provides excellent weight distribution. 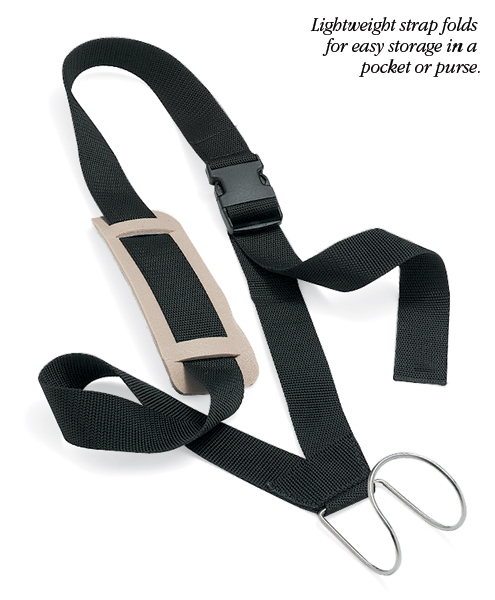 Strap adjusts up to 65" (165cm).